Your logo, your brand name, your corporate colors; your business identity is the foundation for your success. You want to take every opportunity to reinforce your identity and your message. NextComputing lets you personalize the solutions you provide for your customers by designing a unique look for each of your products. 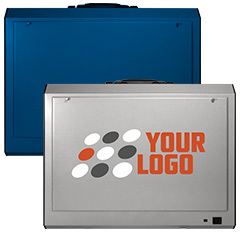 Custom paint colors, silkscreen logos, and stitched carrying cases are just the beginning. We are always open to working with you on new ideas for differentiating your brand. We also offer these services in lower volume than most companies, allowing you to put your best foot forward without breaking the bank. Contact us to find out how easy it is to make your mark on the most innovative computing solutions around.